Artwork for this article provided by ELEMENTJ21 and used with permission. 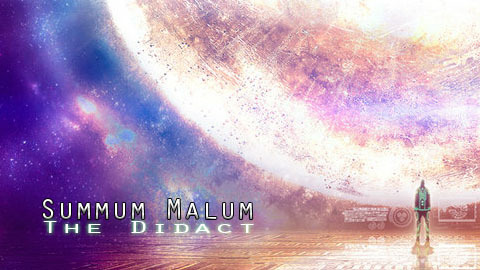 Summum Malum is our attempt to pinpoint the possible identity of the threat (or threats) the Master Chief will face during the events of the Reclaimer trilogy. As of this moment, we have very little concrete information about the events of Halo and onward except for the fact that, during the events of Halo 4, the Master Chief will come face to face with a new enemy–an “ancient evil” possibly locked up in the mysterious world of “Requiem” seen during the Legendary ending of the original Halo trilogy. With little information to go on, we must scour what we currently know and draw our early conclusions. Thankfully the fictional universe of Halo has presented us with a number of likely, and unlikely, possibilities. In this series we’ll take a look at possible candidates for the position of “ancient evil” whilst we wait until such times as it is revealed to us. This article contains plot details for Greg Bear’s Forerunner Saga. If the final terminal hidden within Halo: Combat Evolved Anniversary is to serve as any indication, it’s highly possible that we may be facing off against the Didact at some point within the Reclaimer Trilogy. You don’t have to be a very discerning fan in order to pick up on 343’s less than subtle hint. But the question then becomes, why? While the Didact is certainly far from the friendliest of characters, this alone doesn’t make him a worthy contender for evil villain #1, does it? Let’s take a look at the evidence. First and foremost, Didact has a rather significant history involving not only opposition to–but complete and open warfare against–humanity. During the Forerunner-Human Wars, when humanity was vying for new territory as the Flood claimed more and more of their worlds, the Didact led many campaigns against the humans, coming to know them as his enemy. Indeed, this deep seated hatred for the kind that killed many of the soldiers under his command was present even thousands of years after that war had ended, leading to an acute discomfort with having to even share the same vessel with the humans under Bornstellar’s charge. Would it be so hard to imagine a cause arising that allowed this hatred to reemerge? Means – If any Prometheans exist, they would still be under the Didact’s command. Because of his formidable skills in battle as well as his brilliant tactical comprehension, the Didact was the supreme commander of the entire Forerunner military force, including an elite fighting unit known as the Prometheans. Over the course of the Halo story, Master Chief has developed a reputation for testing his combat skills against the best fighters in the galaxy. From Elites and then to Brutes, Chief has constantly been forced to step up his game and odds are that Halo 4 will be no different. So, now that the Covenant fighters are technically obsolete, what better fighters to replace them than the most elite combatants of the Forerunner military? Fans have often wondered why so many of the Shield installations–well-conceived to protect its occupants from the Halo Array’s fire–lay abandoned, despite being clearly functional. Perhaps the occupants of many these structures simply left long before the humans of Covenant found them; there could be a potential army hidden that we just have not seen. Motive – He never much liked humans anyway, and probably wouldn’t need much convincing to oppose them again. 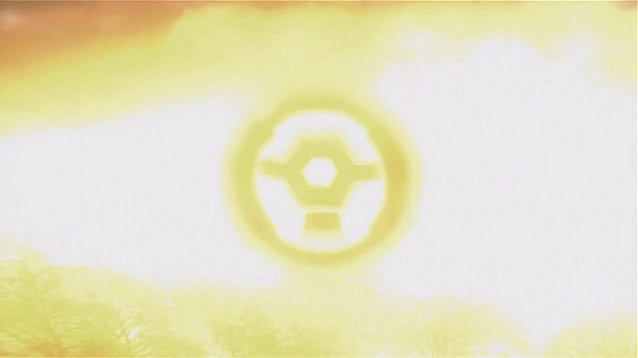 So the Halo array has been activated, the galaxy repopulated, and he’s just resealed himself in his Cryptum. Wake up 100,000 years later and what do he find? The once lesser races of the galaxy have more or less commandeered his technology, using it to rise to become the dominate races of the galaxy. The Flood has been halted, yet the humans ignorantly assumed that because of this there would be no greater threat to defend against. His entire military career – spanning thousands of years and led in pursuit of a galactic peace following the Mantle which his kind stood for–has been in vain, as the races of the galaxy continue to fight. In the words of Cortana: “The great sacrifice was in vain. The end of one war did not signal the end to all wars” [Halo Legends, “Origins”]. To top it off, the evidence from the Halo 3 terminals strongly intimate that the Didact believes his lover, the Librarian, did not make it to any safe haven, and was killed during the Halo Array’s activation – dead because she tried to save a few humans. He has every reason to be a little angry. And humanity has just shown up on the doorstep of a device presumably constructed to house an enemy even more dangerous than the Flood. Opportunity – Look who showed up on the doorstep of one of the ancient threats his kind helped to seal away! Perhaps humanity, who have an obvious history of blindly tampering with everything they come across, are no longer capable of getting the message on their own. Perhaps its time for true Forerunner intervention of the most absolute kind. Besides, when you say it the way you did and when I recall the H3 terminals where the Didact was talking, he was extremely upset about the Array’s firing. If he were to come back at this point, even with Bornstellar influence as his persona’s host, I bet the Didact will be piiiiiiiissed. Forerunners as enemies? Challenge accepted. But, Bornstellar is the didact… Why would he hate humans? Born was young. The Didact had lived centuries longer than the Manipular, so it’s easy to imagine that Bornstellar’s indifference about humans could be easily overridden by the longer memories of brutal conflict against their kind harbored within the mind of the Didact. It could also be the key to bringing the Didact into sense from his rage. we see that the promethean knights and other tech are in orange and rampant colors on the video, but we also get the tiniest glymps of a knight that is actually blue. could this mean a change in the didact and him being the opposition of what everyone sees? It’s official.. the Didact will be in the game, and i think he will be the enemy. I wonder if the Didact’s plan is, after figuring out how Ancient Man defeated the Flood the first go around, that this time he’ll use what is left of humanity and feed them to the Gravemind and destroy the flood permanently. Maybe it’s hatred, or indifference, but humanity may just have to be sacrificed for the good of the Mantle in the Didact’s eyes.